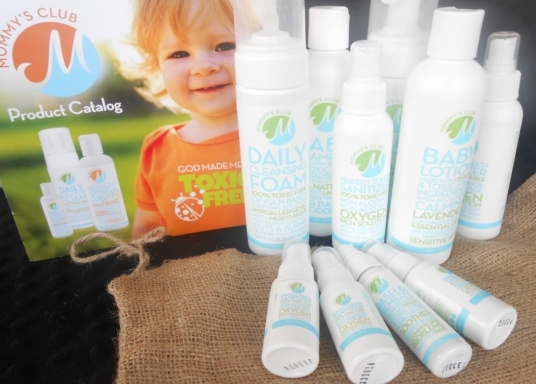 Mommy's Club safe and organic all natural products! I recently received this “All In Bundle” from Mommy’s Club. Have you ever heard of Mommy’s Club? A membership buying club that offers personal health, household and body care products made with all-natural, organic, and toxic-free ingredients. It also is a business opportunity to those of you who are into marketing and wish to share your products with your friends and family. 1 Baby Shampoo 8 oz, 1 Rash & Remedy Skin Relief 1 oz, 1 Baby Lotion 8 oz, 4 Perfect Touch Sanitizers 1 oz, 2 Perfect Touch Sanitizers 4 oz, 1 Baby Foaming Wash 7 oz, 1 Daily Cleansing Foam 7 oz, 1 Cherry Chewable Multivitamin for Children with Daily Probiotic, 1 Advance Omega 3/6/9 Natural lemon Flavored 8 oz, 1 Pre-natal Plus 16 oz, 1 Total Body Health with Multivitamin 32 oz, and 1 Total Body Health for Children with Multivitamin 16 oz. They also offer a lot more bundles that are cheaper and don’t have as many items as this bundle does. You can find the other bundles here. All of the products are not animal tested, so no animals were harmed when making these products. Mommy’s Club offers to sell each product individually if you want just certain products. My favorite products from the All In Bundle is the soap and mini hand sanitizer’s. I love how they are small and can easily fit in a pocket, purse, or diaper bag. I am not the type of person that is into vitamins and health drinks. 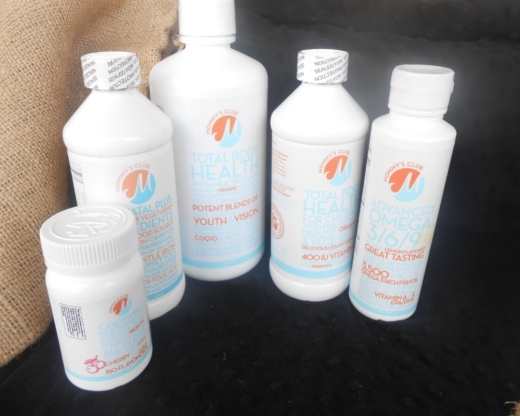 The bundle that I got came with a few of those health drinks and vitamins and I will be honest and say that I wasn’t too into the taste of these products. But I suggest everyone tries it and see if they like the internal products. 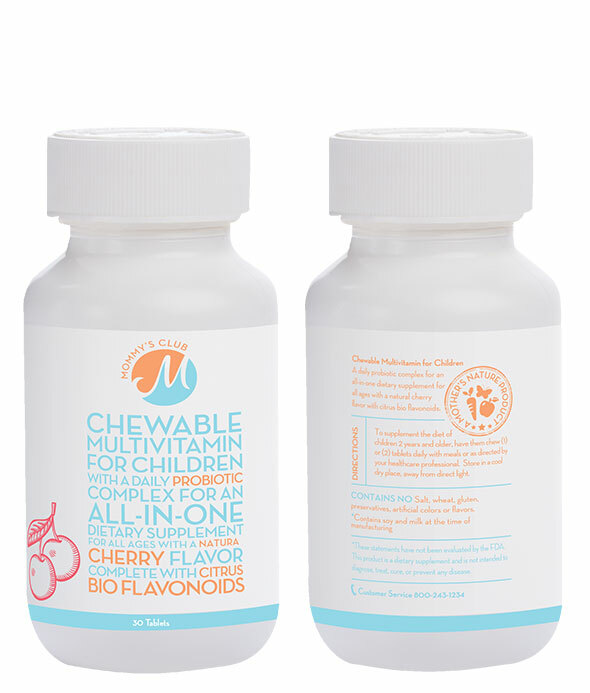 My daughter does love the cherry multi vitamins. Everyone has different taste buds so I would say you’d have to try it for yourself and see if you’d like it. 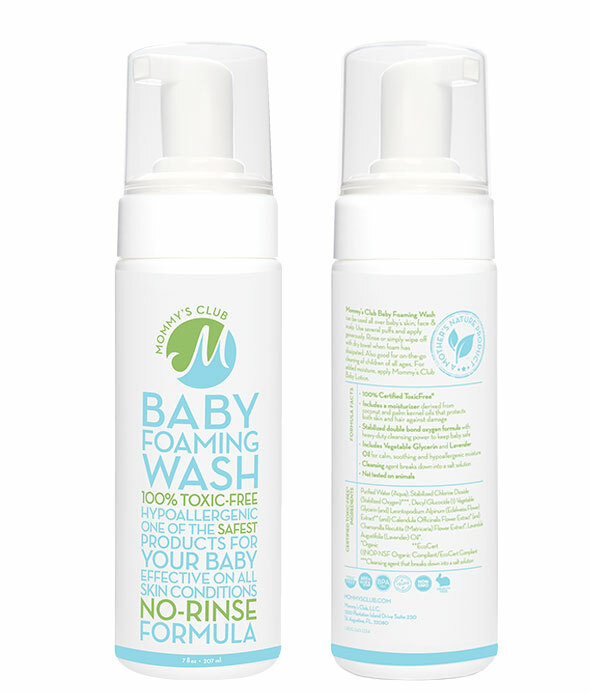 Another product that is a huge hit for me is their Baby Foaming Wash. I have this in my car. Why would it be in my car? This is pretty much a no rinse shampoo. 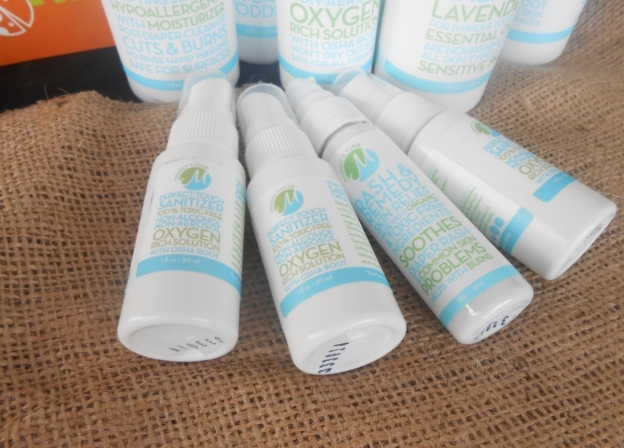 It’s a very gentle product and can be used anywhere on you or your baby. This is perfect for the car for many reasons. You can use it as hand sanitzer or if your baby has an extremely bad blow out in the car and you wish you had a shower to hose them off, because let’s be honest, as much as we love wet wipes, they don’t do the best job of keeping your baby fresh and clean. I would have loved this for the many blow outs my daughter had, but now I for sure will have it for my new baby, and I am extremely grateful! I do want to add and say that ALL there products are organic as well. I know a lot of people want the best for their children’s body and if you are a person that believes that, then I suggest you try Mommy’s Club products. Everything they have in their products are safe for your children! These are the products to get! They even have cleaning supplies!! Mommy’s Club has it all, be sure to like them on Facebook. 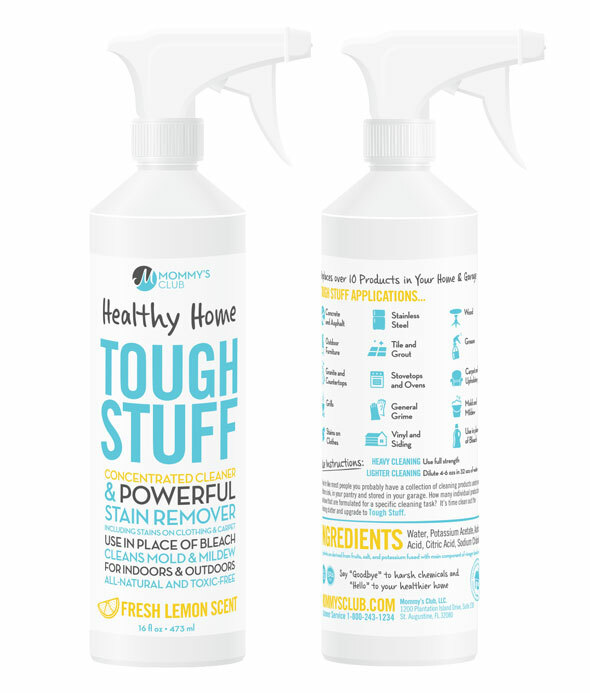 This is a safe alternative to bleach. I didn’t get this product, but I love it! « Cheesy Sausagllini Recipe-Made With Sausage Crumbles!